Afif Na`imi (عفیف نعیمی), one of the seven ‘Yaran’ (national facilitators for the Bahai community in Iran) returned to Raja’i Shahr prison on April 23, at the end of his furlough for medical treatment. He suffers serious heart problems, blood clots, lymph node problems and acute swelling of the throat. On several occasions in recent years, he has been taken from prison for treatment, only to be returned to prison with the treatment incomplete. His health problems are described as “severe,” and the prison’s Medical Examiner has determined that he is not fit for prison because of his failing health. In 2016 he was granted a furlough for medical treatment which eventually extended to five months, returning to Rajai Shahr prison on January 28 this year. His sentence was due to be fully served (i.e., without the usual early release provisions) on February 27, 2018, but the authorities have said he must serve another 10 months, apparently because his sentence was suspended on two occasions. From left to right: Mr. Reza’i with Fariba Kamalabadi, Mahvash Sabet, Afif Na’imi and Behrouz Tavakolli. Fariba Kamalabadi (Facebook), February 17, 2018. Sa`id Reza’i (سعید رضایی) one of the imprisoned “Yaran” (national facilitators for the Bahais in Iran), has been released from Raja’i Shahr prison at the end of a ten year sentence for his activities in service of the Bahais of Iran. Mr. Reza’i (link opens in PDF format), now aged 60, is an agricultural engineer who ran a successful farming equipment business in Fars Province. He is also known for his extensive scholarship on Bahai topics, and is the author of several books and has served as an academic adviser to Bahai students. He taught Bahai children’s classes for many years, and served the Baha’i Education and Baha’i Life Institutes. He was also a member of the National Education Institute. During the early 1980s, when persecution of Bahais was particularly intense and widespread, Mr. Rezaie moved to northern Iran and worked as a farming manager for a time. Later he moved to Kerman and worked as a carpenter and at other odd jobs in part because of the difficulties Bahais faced in finding formal employment or operating businesses. In 1985, he opened an agricultural equipment company with a Baha’i friend in Fars Province. That company prospered and won wide respect among farmers in the region. In August 2013 he was hospitalized due to a gastrointestinal disorder, and was transferred back to Rajai Shahr prison on August 7. During his treatment, tests revealed that he also has a 70% blockage in his coronary artery. He underwent emergency heart surgery. Doctors ordered one month of after care in a quiet and suitable location. Ignoring the doctor’s orders for post-op care, officials returned him to Raja’i Shahr prison. Jamaloddin Khanjani (جمال الدین خانجانی), one of the imprisoned “Yaran” (national facilitators for the Bahais in Iran), has been taken from Rajai Shahr prison to a cardiac care unit in hospital. It appears he suffered a heart attack in prison. He is now aged 86. He is now one month from the end of a 10-year sentence for his work in serving the Bahai community in Iran. He had had heart surgery before entering prison, and suffered a heart attack in prison, in January 2014, when he was taken to Pars Hospital in Tehran for treatment. Another of the Yaran, Sa`id Reza’i (سعید رضایی), is expected to be released on February 17. Mr. Tavakolli has a degree in psychology. After his military service (with a rank of Lieutenant) he was a social worker specialising in care for mental and physical disabilities, working in government service until the early 1980’s, when he lost his job. He became self-employed, with a carpentry workshop in Gonabad. He was at various times arrested and abused. On one accasion, before the arrest of the “Yaran” in 2008, he was held in solitary confinement without any charge against him for four months, which resulted in serious kidney and joint problems. Bahai News (Persian), January 28, 2017. Afif Na`imi (عفیف نعیمی), one of the seven imprisoned ‘Yaran’ (national facilitators for the Bahai community in Iran), returned to Rajai Shahr prison on January 28. He has served 8 years of a 10-year sentence, and was granted a furlough for medical treatment which eventually extended to five months. On several occasions in recent years, he has been taken from prison to a heart disease hospital in Tehran for treatment, only to be returned to prison with the treatment incomplete. He suffers from blood clots and recurrent fainting (apparently due to the effects of blood thinning drugs to reduce the risk of brain hemorrhage). His health problems are described as “severe,” and the prison’s Medical Examiner has determined that he is not fit for prison because of his failing health. She is now in the ninth year of her prison sentence, and this is the first prison furlough she has been granted. During her furlough she was able to meet family members and civil society activists. More photos are available on Bazdasht. Bahai News (Persian), May 29, 2016. Afif Na`imi (عفیف نعیمی), one of the seven imprisoned ‘Yaran’ (national facilitators for the Bahai community in Iran), was transferred from Raja’i Shahr prison to a hospital in Tehran on Saturday. He suffers from blod clots and recurrent fainting (apparently due to the effects of blood thinning drugs to reduce the risk of brain hemorrhage). On several occasions, he has been taken from prison to a heart disease hospital in Tehran for treatment, only to be returned to prison with the treatment incomplete. The most recent occasion (that I am aware of) was on January 24, 2016. He has been imprisoned for 8 years without any prison furlough. His health problems are described as “severe,” and the prison’s Medical Examiner has determined that he is not fit for prison because of his failing health. His case has gone three times to medical boards supervised by the Medical Examiner and the Public Prosecutor, and these have found him unfit for prison. In view of his chronic bad health, the Public Prosecutor’s office has given the prison authorities permission to take Mr. Na`imi to hospital when necessary, without prior permission from the Public Prosecutor. On 5 March 2008, one of the Yaran, Mrs. Mahvash Sabet (مهوش ثابت) – a schoolteacher and mother of two – was arrested having been summoned to the Iranian city of Mashhad to discuss some matters regarding a Bahai burial. Two months later, on 14 May, the other six Yaran were arrested in raids of their homes. After twenty months in prison without charge, a trial began on January 12, 2010, under Judge Moqayesseh (قاضی مقیسه, also spelled محمد مقیسه‌ای). Throughout their long wait for justice, the seven had received barely one hour’s access to their legal counsel, and suffered appalling treatment and deprivations, including psychological and physical hardship. They were charged with spying for Israel, propaganda against the Islamic Republic, and the establishment of an illegal administration – charges that were all rejected completely and categorically by the defendants. According to the defence lawyer, the charge of spying for Israel was based only on the fact that the Bahai properties in Israel are tax exempt. However Bahai properties are tax exempt in almost every country, and Islamic holy sites in Israel are also tax exempt! The trial of the seven accused ended on 14 June 2010 after six brief sessions, characterized by their lack of due legal process. Bahai News (Persian, facebook), May 9, 2016. Fariba Kamalabadi (فریبا کمال آبادی ) one of the seven “Yaran” (National facilitators for the Bahai community) who are serving ten-year prison sentences as prisoners of conscience, has been granted a five-day leave from prison following the birth of her grandchild. In November, 2014, she was denied leave to attend her daughter’s wedding. According to the normal prison rules (which do not necessarily apply for Bahai prisoners), she should be due for early release now, having served 8 years of a 10-year sentence. Mrs. Kamalabadi was initially detained in Evin Prison in Tehran. On July 29, 2010, all the Yaran were transferred to Raja’i Shahr prison (Gohar Dasht prison), about 50 kilometers West of Tehran. On May 6, 2011, when the women’s block at Raja’i Shahr was closed, she and Mahvash Sabet were transferred to Gharchak Varamin prison, 40km south of Tehran, where conditions are particularly inhumane. Two weeks later she was again transferred to Evin Prison, where she has remained. Bahai News (Persian, Facebook), January 27, 2016. Prison authorities have again refused to extend the medical treatment of Afif Na`imi (عفیف نعیمی), a Bahai prisoner of conscience held in Raja’i Shahr prison, and one of the seven Yaran (national facilitators for the Bahai community in Iran). 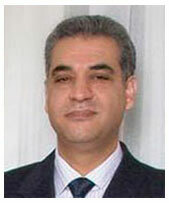 On January 24 he was taken from the hospital in Tehran to prison, although his medical treatment is incomplete. On several occasions now, he has been taken from prison to a heart disease hospital in Tehran for treatment, only to be returned to prison with the treatment incomplete. His health problems are described as “severe,” and the prison’s Medical Examiner has determined that he is not fit for prison because of his failing health. His case has gone three times to medical boards supervised by the Medical Examiner and the Public Prosecutor, and these have found him unfit for prison. In view of his chronic bad health, the Public Prosecutor’s office has given the prison authorities permission to take Mr. Na`imi to hospital when necessary, without prior permission from the Public Prosecutor. Mr. Na`imi was arrested in May 2008 together with six other “Yaran.” They were charged with “formation of the Baha’i sect” and “spying for Israel,” and given 20-year prison sentences, recently reduced to 10 years, although it is inherently improbable that the Israeli security services would recruit the seven most high-profile Bahais as spies (Bahais are under constant surveillance, and are excluded from work in the civil services, armed forces and many other sectors), and no evidence of this “spying” was produced. Bahai News (Persian), November 18, 2015. The prison sentences of the seven ‘Yaran’, who served as national facilitators assisting the Bahais of Iran in their dealings with government organs until their arrest and imprisonment, have been reduced from 20 years to 10 years in prison. They have already served more then seven years. On 5 March 2008, one of the Yaran, Mrs. Mahvash Sabet (مهوش ثابت) – a schoolteacher and mother of two – was arrested having been summoned to the Iranian city of Mashhad to discuss some matters regarding a Bahai burial. Two months later, on 14 May, the other six Yaran were arrested in raids of their homes. The names of these six are Mrs. Fariba Kamalabadi (فریبا کمال آبادی), Jamaloddin Khanjani (جمال الدین خانجانی), Afif Na`imi (عفیف نعیمی), Sa`id Reza’i (سعید رضایی), Behrouz Tavakkoli (بهروز توکلی), and Vahid Tizfahm (وحید تیزفهم). After twenty months in prison without charge, a trial began on January 12, 2010. Throughout their long wait for justice, the seven had received barely one hour’s access to their legal counsel, and suffered appalling treatment and deprivations, including psychological and physical hardship. They were charged with espionage, propaganda against the Islamic Republic, and the establishment of an illegal administration – charges that were all rejected completely and categorically by the defendants. The trial of the seven accused ended on 14 June 2010 after six brief sessions, characterized by their lack of due legal process. Iran Press Watch, May 18, 2015. Despite repeated instructions from the Medical Commission regarding cancellation of his prison sentence, Afif Na`imi ( عفیف نعیمی ), a Bahai prisoner of conscience and one of the seven Yarn (national facilitators for the Bahai community in Iran), is still imprisoned although he has severe heart disease ‒ even Tehran’s district attorney has authorized the Rajai Shahr Prison clinic to transfer him to hospital whenever needed and without coordination with the District Attorney’s Office. Na`imi was arrested in May 2008 together with six other “Yaran.” He was charged with “formation of the Baha’i sect.” His brother and nephew are also held in imprisoned at Rajai Shahr Prison, while his sister-in-law is serving a prison term in the women’s section of Evin Prison in Tehran. He is 52 years old, and suffers from blood clots which require carefully controlled doses of Warfarin. He received treatment in Tehran’s Coronary Hospital for nine months in 2013 and 2014, but on August 9 he was transferred to Raja’i Shahr prison, although the forensic doctor had certified that he was unable to bear imprisonment. Emanullah Mostaqim ( امان‌الله مستقیم ), one of the staff of the Bahai Open University (BIHE) in Iran who is serving a 5-year sentence in Raja’i Shahr prison, was sent from hospital to the prison on the same day, although he too has been certified as unfit for prison. Campaign against harassment of Bahais (facebook), April 18, 2015. The campaign ‘Remember the Yaran’ is drawing attention to the oppression and persecution of the Bahais in Iran. The facebook group “Campaign to stop the harassment and imprisonment of Baha’i citizens” intends to mark the seventh anniversary of the arrest of seven Bahais known as the Yaran, or Friends, who served as national facilitators assisting the Bahais of Iran in their dealings with government organs. The facebook group supports the ‘Remember the Yaran’ campaign and request the immediate release of the seven Yaran. They ask all those who support justice and oppose oppression in Iran to support ‘Remember the Yaran’ by publishing photos of your pleas for the release of the Yaran. Those who wish to participate can send a photo of themselves with a sheet of paper bearing the words, “7 years have passed: remember the Yaran,” or write this on the palm of their hands, and send the picture to the facebook page (the link is above). 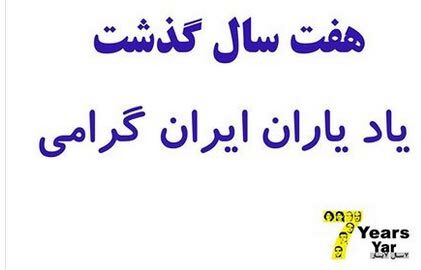 Those who wish to try this in Persian can copy the example below. Those who do not wish to be identified by using an image of their face, can send a photo of the paper or the writing on their palm, in such a way that they cannot be identified. Seven years ago, the seven ‘Yaran’ were sentenced to 20 years in prison, there the conditions are unacceptable, and they have been denied prison furloughs. Our aim in this campaign is to be the voice of the people of Iran, and the voice of the religious minorities who suffer oppression and persecution under the present government of Iran. So we would like the support of as many as possible of the people, and minorities, of Iran. The Yaran, and other prisoners of conscience will certainly hear of our support, and know that the people have not forgotten them. On 5 March 2008, Mahvash Sabet – a schoolteacher and mother of two – was arrested having been summoned to the Iranian city of Mashhad to discuss some matters regarding a Bahai burial. Two months later, on 14 May, the other six “Yaran” (national-level facilitators for Iran’s Baha’i community) were arrested in raids of their homes. The names of these six are Fariba Kamalabadi, Jamaloddin Khanjani, Afif Naeimi, Saeid Rezaie, Behrouz Tavakkoli, and Vahid Tizfahm. After twenty months in prison without charge, a trial began on January 12, 2010. Throughout their long wait for justice, the seven had received barely one hour’s access to their legal counsel, and suffered appalling treatment and deprivations, including psychological and physical hardship. They were charged with espionage, propaganda against the Islamic Republic, and the establishment of an illegal administration – charges that were all rejected completely and categorically by the defendants. The trial of the seven Baha’i leaders ended on 14 June 2010 after six brief sessions, characterized by their lack of due legal process. Jamaleddin Khanjani (جمالدین خانجانی) was transferred from Raja’i Shahr prison to Pars Hospital in Tehran on the morning of January 5, following a heart failure. Mr. Khanjani, aged 82, is one of seven Bahai ‘Yaran’ (national facilitators for the Bahais in Iran) who were sentenced to 20 years in prison after their May 2008 arrest. He has been imprisoned in block 12, the wing of Raja’i Shahr prison that holds prisoners of conscience, and suffers from diverse ailments connected to his age. He has previously had heart surgery. Doctors has advised that he should be hospitalized, but officials have allowed him only short medical leaves, before returning him to prison. 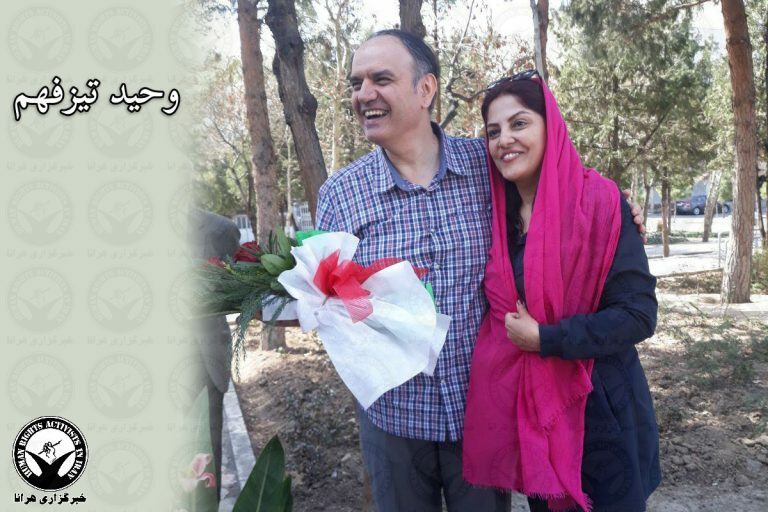 Fariba Kamalabadi (فریبا کمال آبادی ) one of the seven “Yaran” (National facilitators for the Bahai community) who are serving twenty-year prison sentences as prisoners of conscience, has been denied leave from prison to attend the wedding of her daughter. She is held in Evin prison in Tehran, and has now been imprisoned for seven years without any furlough. The prison authorities and the judicial authorities agreed to give her leave for the wedding, but state security officials not only prevented this, they also broke the custom of the prison service by refusing to allow Mrs. Kalamabadi to meet with her daughter, or for the wedding to be held in the prison. We congratulate Mrs. Kamalabadi on the forthcoming marriage of her daughter. was hospitalized two weeks ago due to a gastrointestinal disorder, and was transferred back to Rajai Shahr prison on August 7. During his treatment, tests revealed that he also has a 70% blockage in his coronary artery. He underwent emergency heart surgery. Doctors ordered one month of after care in a quiet and suitable location. Ignoring the doctor’s orders for post-op care, officials returned him to Raja’i Shahr prison. Afif Na`imi ( عفیف نعیمی ), one of the seven Bahai ‘Yaran’ (national facilitators) who are now in the fifth year of 20-year sentences for their Baha’i beliefs, has been transferred from Raja’i Shahr prison to Pars Hospital in Tehran. He suffers from severe inflammation of the lymph glands in his throat, exacerbated by the lack of medical care in prison. He also suffers from goitre. He is 49 years old. He has been detained since May 2008, without even one day of prison leave. Afif Na`imi ( عفیف نعیمی ), one of the seven Bahai ‘Yaran’ (national facilitators) who are now in the fourth year of 20-year sentences for their Baha’i beliefs, has been transferred from Raja’i Shahr prison to hospital. Three months have passed since he obtained the necessary documents from the prosecutor’s office and the prison authorities. He suffers from severe inflammation of the lymph glands in his throat, and this has been exacerbated by lack of medical care. He has been detained since May 2008, without even one day of prison leave.